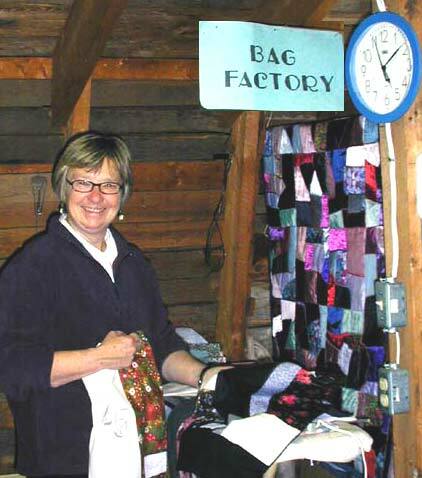 They are affectionately known as the Bag Ladies and they'll flash you a warm smile when you reach the top of the stairs. Take pleasure in witnessing the plotting, coordinating, cutting, and sewing of the famous bags designed for you to carry home your purchase. No need to wrap your gift. A gift sporting the crafter's name in a uniquely crafted bag will be a source of pride to the giver and cherished by the receiver.